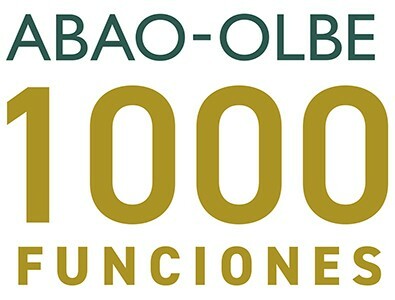 ABAO-OLBE (Bilbao Association of Friends of the Opera) begins the commemoration of 1.000 opera performances in Bilbao Fidelio Ludwig van Beethoven, German opera composer only. This work, belonging to the heroic period of Beethoven, It is considered one of the most solid pillars of genuinely German opera. The following days 24 -no function 1.000 -, 27 Y 30 November and 3 from December, with the exclusive sponsorship BBVA Foundation, sponsor of ABAO-OLBE, up on stage this title, a plea of ​​conjugal love, the loyalty, fidelity and freedom, returning to Bilbao season after twenty two year absence. This masterpiece of Beethoven suffered in the process of continuous composition revisions have resulted in three different scores and four different overtures. In the version presented in Bilbao you can enjoy two overtures, of "Fidelio" and "Leonore III" as symphonic piece. The argument of this first musical drama of modern story about man and society is based on the story of Leonore, a woman who embarks, disguised as Fidelio, in the adventure of finding her captive husband and save. To give life to the main characters whose interpretation requires very special skills and great vocal training, ABAO-OLBE features the debut of two specialists in the Germanic repertoire, Russian soprano Elena Pankratova as 'Leonore' and the British tenor Peter Wedd as 'Florestan'. Joining them complete the lineup debuts under Belgian Till Faveyts como 'Rocco', German soprano Anett Fritsch como 'Marzelline', the return of tenor Bilbao Mikeldi Atxalandabaso as 'Jaquino', debut bass baritone Austrian Sebastian Holecek as 'Don Pizarro', the return of the low-baritone Latvian Remove Egils as 'Don Fernando', the debut of tenor Manuel Gomez Ruiz as 'Prisoner uno' and the return of low Felipe Bou as 'Prisoner two'. In the musical section, Bilbao again after a successful address Billy Budd in 2009 teacher Juanjo Mena, great connoisseur of this repertoire. Topping the Bilbao Symphony Orchestra, Mena faces a score that qualifies as "A masterpiece of completely unique and innovative transcendent vision". It underlines the importance of the orchestra increases to the point to mark the voices that must be theatrical intensity for greater dramatization. This section complete Bilbao Opera Choir, directed by Boris Dujin, protagonist of one of the highlights of the opera to give voice to the "chorus of prisoners". On the stage, symbolic production, conceived by the National Theater Award three times, José Carlos Plaza, in Bilbao will be directed by playwright Gregor Acuna-Pohl. The apparent edge of freedom is placed on an empty space delimited by two large metal blocks. Changes in these blocks correspond to the great musical moments of the opera. A very clean scenery, strong and essential that helps to understand the humanistic and timeless message Fidelio. The wardrobe Pedro Moreno, winner of two Goya awards for "The Dog in the Manger" Pilar Miró and "Goya in Bordeaux" by Carlos Saura, It focuses on the feelings of the characters and the struggle between the outer repressive force and inner strength of the human soul, with many details as oxide clothes jailers or inspired by Chillida drawings of women, while the protagonists are shown in white as a symbol of freedom and purity. The function of Fidelio of Saturday 24 November will be broadcast live and free via streaming for everyone, through websites ETB Y ABAO. The Association joins this way, with the support of the public body EITB, the possibilities offered by new audiovisual technologies and social networks for the dissemination of culture and opera. The Basque public television chain reissue delayed the function Sunday 2 December at 9:00 H is a ETB 2. Luis Gago, stars in the second conference cycle introduction to opera organizes ABAO-OLBE, prior to the premiere and free of charge, in the Bilbao Fine Arts Museum, in order to know the most important aspects of each title of the season. Luis Gago has been Deputy Director and Head of Radio Programs 2 (RNE), Panel member of serious music of the European Broadcasting Union, Coordinator of the RTVE Symphony Orchestra and the Royal Theater Editor. He has made radio programs for the BBC and is the author of numerous articles and monographs, Book Bach (1995) and the Spanish version of the New Harvard Dictionary of Music. usually prepared Castilian subtitles for the Royal Opera House, the Inglés National Opera and Digital Concert Hall of Berlin Philharmonic. He is editor and music critic Books Review, music critic of El País and codirector, along with Tabea Zimmermann, the Chamber Music Festival of the Beethoven-Haus in Bonn. The appointment is Friday 23 of November in the Auditorium of the Museum of Fine Arts (access door by Chillida) to 19.15 hours. Free entry until complete seats. Horizons of excellence in opera singing It is a result of the long history of collaboration between ABAO-OLBE program and the BBVA Foundation, who share the vision of generating activities that ensure access to a quality culture for all. As part of this shared sensibility, the project Horizons of excellence in opera singing It is designed through a program that combines meetings and dialogues between experts, artists or professionals linked to the opera, to delve into a new space for cultural development through reflection on the lyrical art, and its role in today's culture. Within the celebrations of the historic season “ABAO 1.000 opera performances in Bilbao”, he 21 of November to 17:30 pm in the Auditorium of the Museum of Fine Arts held a meeting being the conductor Juanjo Mena and deputy director of El Correo, Coca Caesar. The next 24 of November, coinciding with the first function Fidelio and ephemeris 1.000 opera performances, the fourth edition of the initiative is held Fair Saturday with which ABAO-OLBE, driving movement, collaborates since its inception. Fair Saturday emerged as an innovative movement, open and participatory process that aims to place art and culture at the heart of society and highlight its ability to transform the world every cultural event devoted to an NGO or social project. This time the Bilbao Association will donate part of the proceeds of that function Fidelio has the NGOs creating Futures, which among other things develops an educational program in Senegal. The BBVA Foundation, whose distinguishing feature is the impulse to scientific knowledge and cultural creation, Music articulates its program as a complete tour of the various ways in which society can benefit and enjoy this art, own space on the web www.contrapunto-fbbva.es A) Yes, It promotes the creation of new work with composition commissions and enables preservation and dissemination through recordings in collaboration with seals and interpreters frontline. Promotes live music through concert cycles, for free, put within reach of ensembles and soloists public reference in the contemporary repertoire. Organizes lectures and issues publications to better understand the work of certain authors or immerse themselves in the study of certain compositional periods and implements research projects and highly innovative creation with Leonardo Grants in Music and Opera. Organizes specialized symposiums on management of orchestras, collaborates with musical ensembles and theaters across the country-from the Teatro Real and the Teatro de la Maestranza the Gran Teatro del Liceu, through the Bilbao Association of Friends of the Opera and the Symphony Orchestra of Madrid and recognizes excellence through Frontiers of Knowledge Award in Music and Opera and Composition Prize AEOS-Fundación BBVA, in collaboration with the Spanish Association of Symphony Orchestras.